The number of Christmas tree lots on corners in Nova Scotia are shrinking as growers cope with big changes in the way their trees are bought and sold. 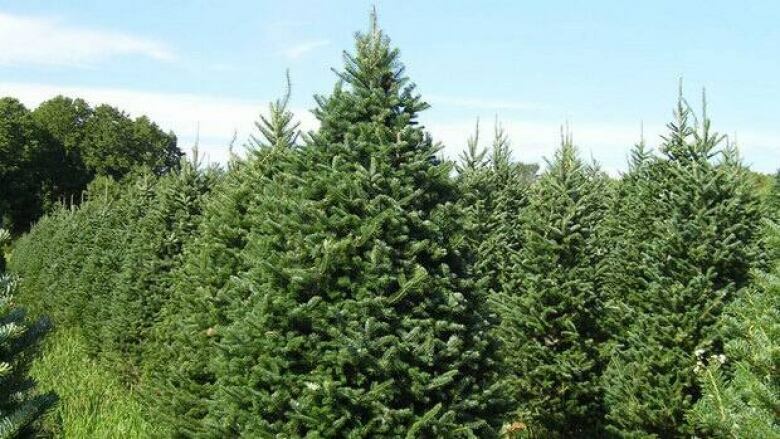 The number of Christmas tree lots on corners in Nova Scotia are shrinking as growers cope with big changes in the way their trees are bought and sold. Instead of the traditional lot method, more trees are being sold by big international chain stores. That's turning the industry into a highly competitive, and sometimes "ugly" business, according to the Christmas Tree Council of Nova Scotia. "More of the retail chains are getting involved in the market, so you are looking at one buyer making the decisions for thousands and thousands of trees," said Angus Bonnyman, executive director. "If one buyer for a chain decides to go with a buyer out of the Carolinas instead of a Nova Scotian grower, then that could displace up to 80,000 trees." "Home Depot is probably the most significant marketer of Christmas trees in the world right now," said Matthew Wright, the industry coordinator for the council. He said as little as $0.10 a tree can make or break a sale with big chains. "The trouble is, it could be a 60, 80, 120,000 tree order," he said. They said they won't know how well this season panned out until after Christmas. But the high Canadian dollar will also hurt their bottom line. The Nova Scotia Christmas tree industry employs about 4,000 people and generates about $30 million a year.